The English Language Institute helps international students learn English language skills and make cultural adjustments to a new country. We focus on your safety and comfort, your understanding of the U.S. culture, your enjoyment during your time with us, and your fast, comprehensive mastery of English. All of our services and programs are designed with these goals in mind. The city of Houston covers 634 sq. miles and lies 50 miles inland from the Gulf of Mexico. The Greater Houston area (Houston and its suburbs) covers about 8,778 sq. miles, which makes it the fourth largest city in the United States. About 2.1 million people from different cultures live in Houston, and more than 5.95 million individuals live in its seven-county metropolitan region. Houston is peaceful and green, with many luxurious, wooded areas. The city’s climate is mild and sunny throughout the year, with an average temperature of 83 degrees in the summer. Winters are relatively mild and comfortable, averaging 56 degrees. Houston only has about 20 days a year with low temperatures near freezing. We offer a 7-level Intensive English Program (IEP) for students and professionals wishing to improve their language skills for university study or professional use. Extensive software, videos, activities, fieldtrips, orientations, and free classes help students progress quickly. - Flexible hybrid course: The Wednesday Evening Business English series is offered in a convenient hybrid delivery format, blending eight hours of online learning with twelve hours of face-to-face instruction delivered in two-hour classes each Wednesday for six weeks. - Online preparation materials: Participants complete approximately eight hours of coursework online throughout the course, which ensures that the most essential business English communication principles, grammar and vocabulary are covered before class. - Convenient learning options: The flexible delivery method of this course enables busy working professionals to complete coursework at their own pace, whenever and wherever it is most convenient for them. - Highly trained instructors: Our business English instructors are all highly trained, hold master’s degrees, and have years of professional experience in the field of language education. The Private Business English Training program offers tailor-made corporate English training designed to meet specific needs in virtually any industry. Providing an immediate solution, this service is the most flexible and efficient way to target a trainee’s individual language learning needs. We also offer personalized seminars and workshops to area businesses and their employees. 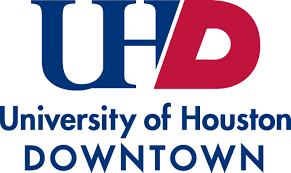 Training can take place at UHD or at a trainee’s office in the Houston area. Course duration and content can be tailored for each client individually.